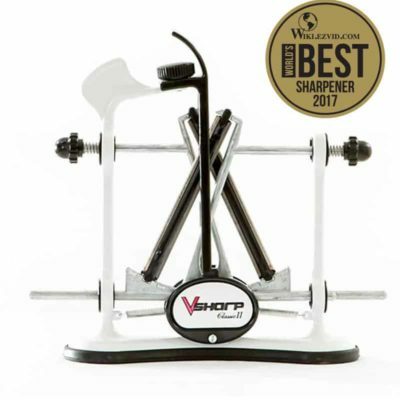 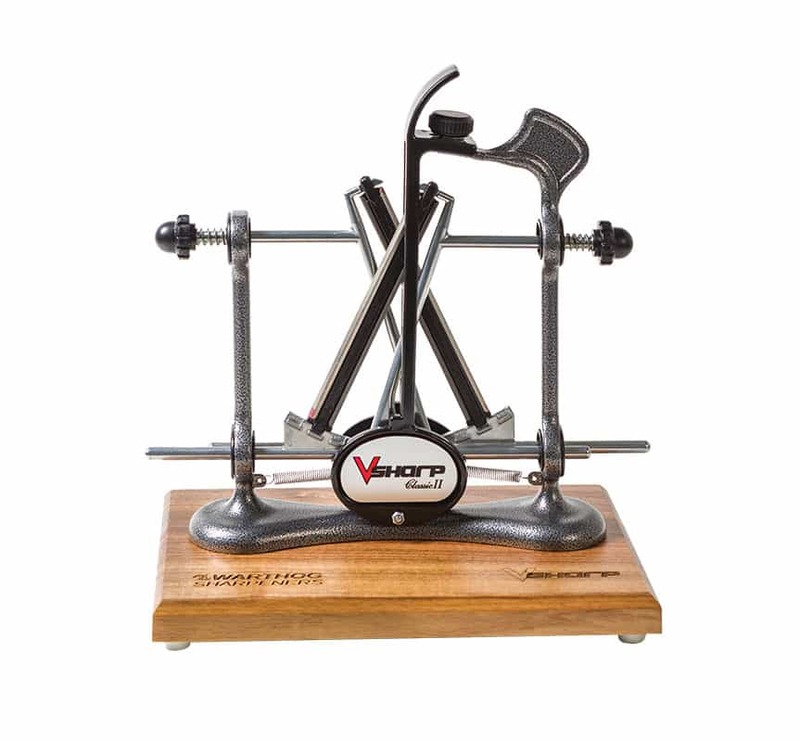 The V-SHARP® CLASSIC II Elite uses two high quality, 325 grit diamond rods that sharpen the blade on both sides simultaneously using calibrated Spring Tension. 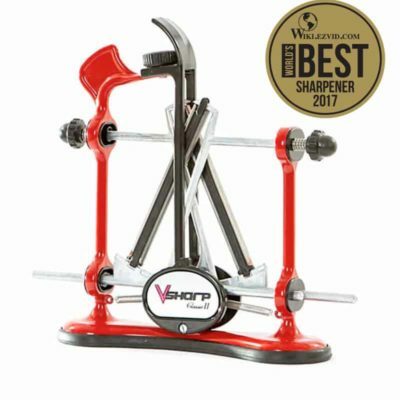 Ideal for Kitchen, Fillet, Hunting and most other flat-blade knives. 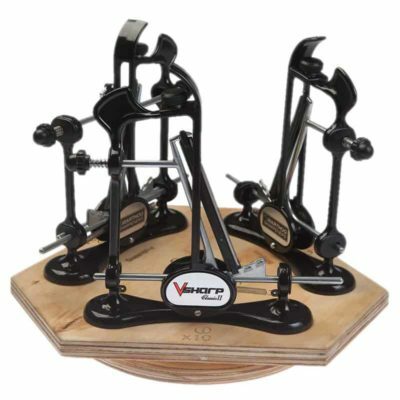 This high-qulaity model has a hand-crafted Steel Frame, Solid Rubber Base and durable Black Powder-coat finish.